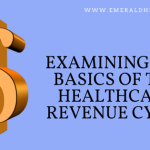 There are some serious advantages to outsourcing medical billing, especially for small medical practices where the time and energy of employees is better spent elsewhere. A professional medical billing company can take all the headaches of billing and be coding away and leave medical staff to do what they do best and that is to provide care for their patients. If you are unsure whether it is worth the investment, here are just some of the advantages of outsourcing this service. A reduction in billing errors. Outsourcing creates an improved cash flow. 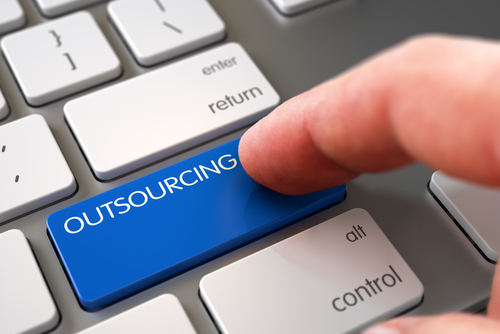 Outsourcing can often increase revenue. So, from this, it is possible to understand that there are serious advantages to outsourcing. Certainly, being held back on a day to day basis by the financial or administrative side to the business is frustrating to say the least. Being able to relax knowing that the financial side of the process is being done by training professionals will take away the strain. It can also help avoid costly errors which often occur – sometimes through incorrect coding and at other times, through changes in legislation that has been missed. A medical billing company will charge a flat rate or a fixed percentage on each claim meaning you always know where you stand. This can work out far cheaper than having to employ staff internally for the job. Outsourcing to a reliable billing company also helps with cash flow as you have continuity within the business. No longer are there interruptions or delays. That continuity can be the lifeblood of the company and having that knowledge of where every cent it can make a big difference. Being one of the best medical professionals means supplying the best service and there are fewer problems to resolve when the responsibility lies elsewhere. By outsourcing, you reduce these potential problems and free up your staff to do what they were trained to do in the first place. This peace of mind acts like a ripple effect throughout the business, both staff and patients are more relaxed and satisfied. It is almost a full-time job keeping up with the constant changes in healthcare, often because of legislative changes and, insurance companies. It is vital that your company follows the correct protocol and keeps up-to-date with any changes in regulations and guidelines where claims are involved. This could be a massive headache for any company where most of the staff are trained in patient care. Outsourcing medical billing comes into its own in these cases. Can you really afford not to outsource medical billing? An overall reduction in costs and medical claims being dealt with in an efficient manner that satisfies both patients and other third parties will ensure the highest levels of professionalism. Staff can be better trained in the areas they were originally employed for and this brings them even more job satisfaction. This also leads to patients receiving better care and keeps the company at the top level in an industry that is both competitive and ever-changing.